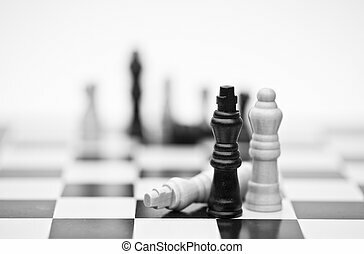 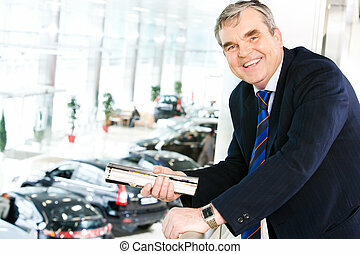 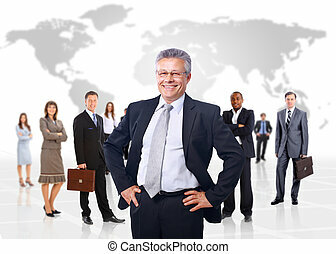 Business leader. 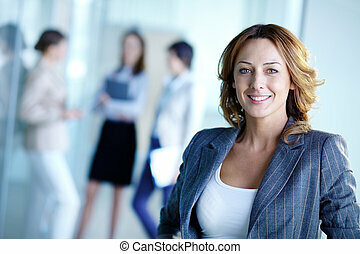 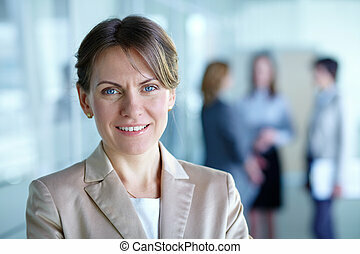 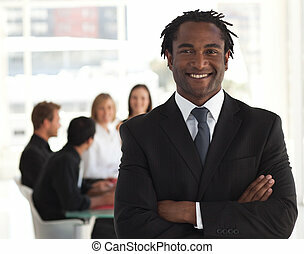 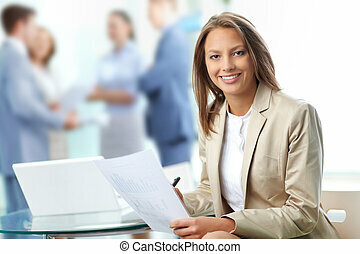 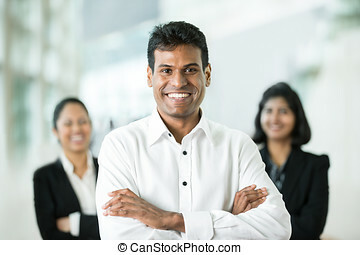 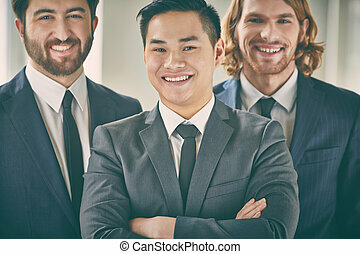 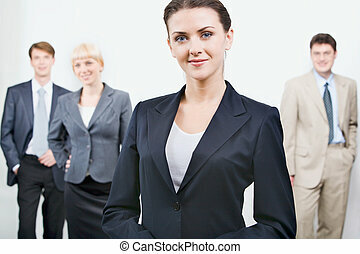 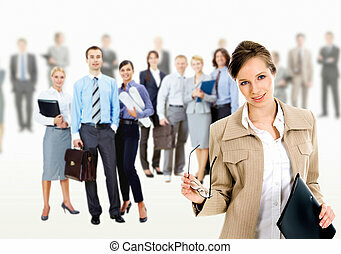 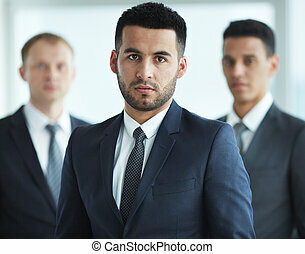 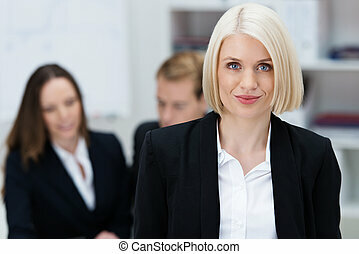 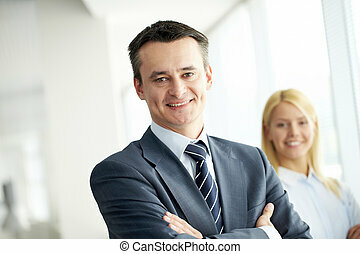 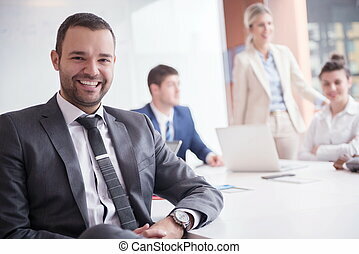 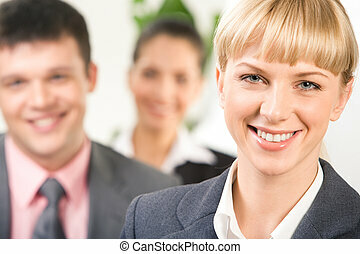 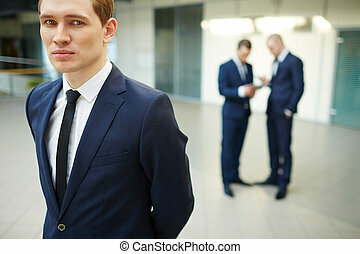 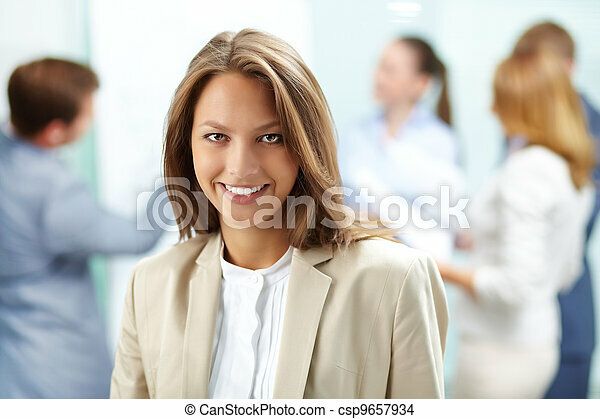 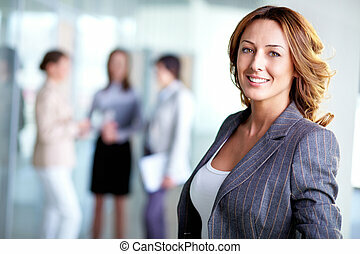 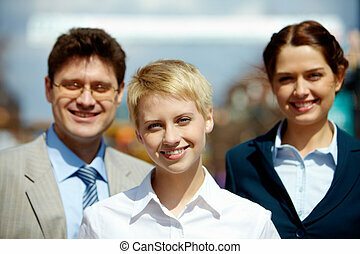 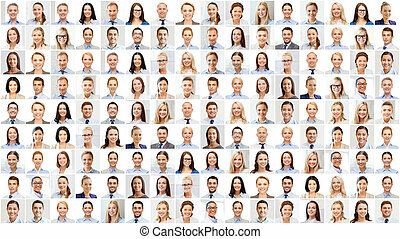 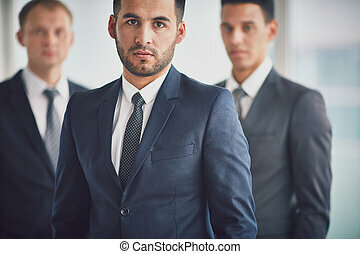 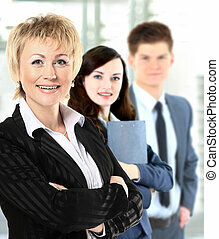 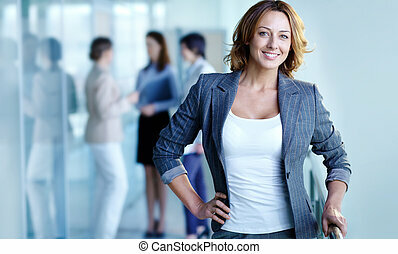 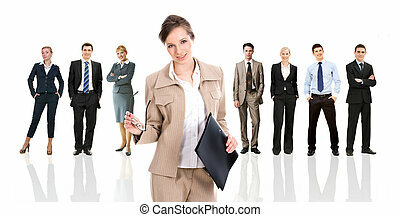 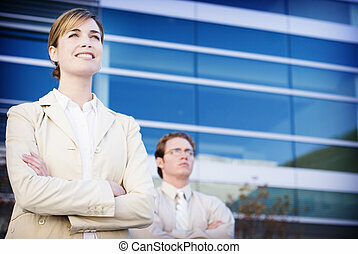 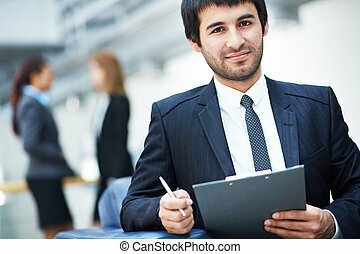 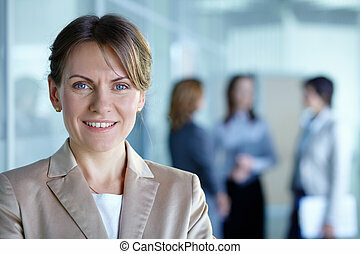 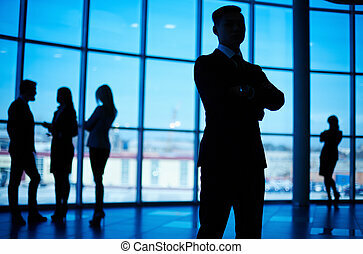 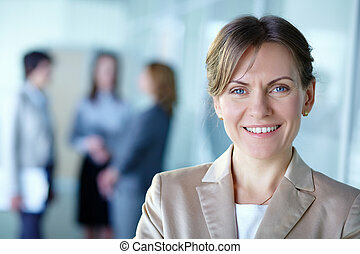 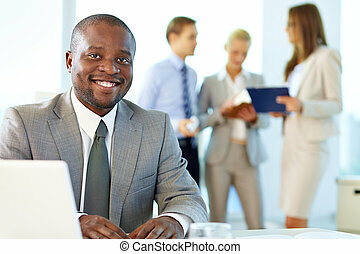 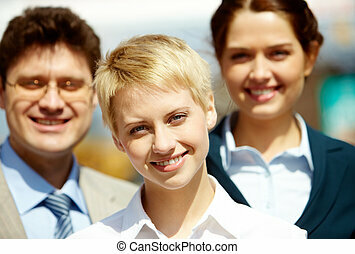 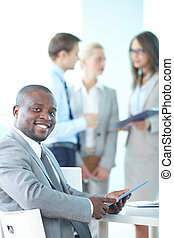 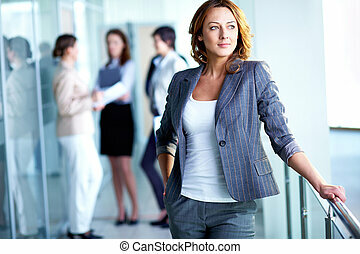 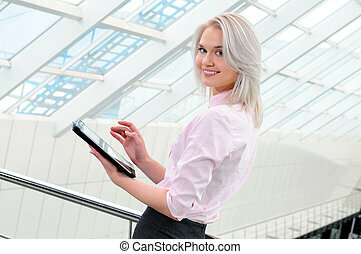 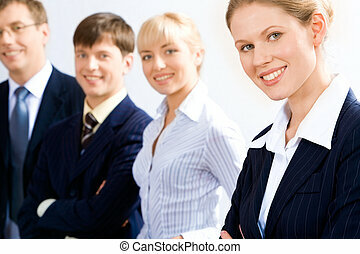 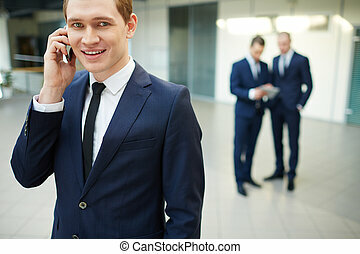 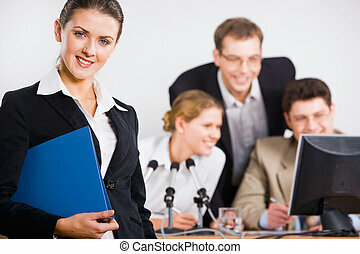 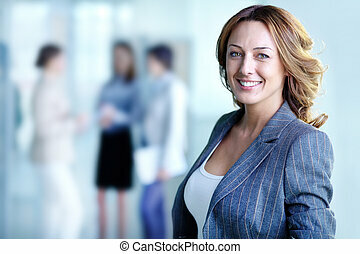 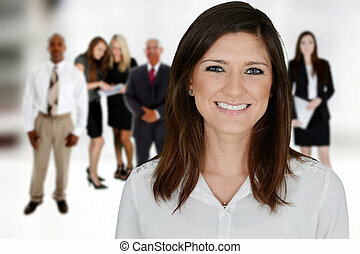 Portrait of pretty business woman looking at camera with working partners on background. 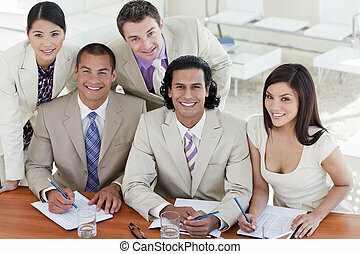 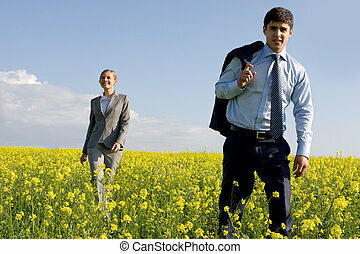 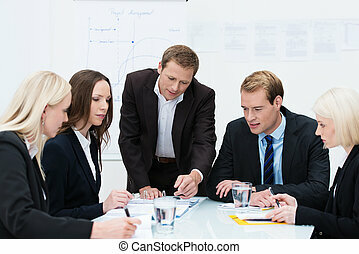 Happy & successful Indian business team at the office.